A team of scientists at a remote Antarctic outpost discover a buried spaceship with an unwelcome alien survivor still alive. Bombastic special effects overwhelm the suspense and the solid cast. Less a remake of the 1951 science fiction classic than a more faithful version of John Campbell's short story "Who Goes There?," since the seeds/spores take on human shapes. Download The Thing in Digital HD from the iTunes store. 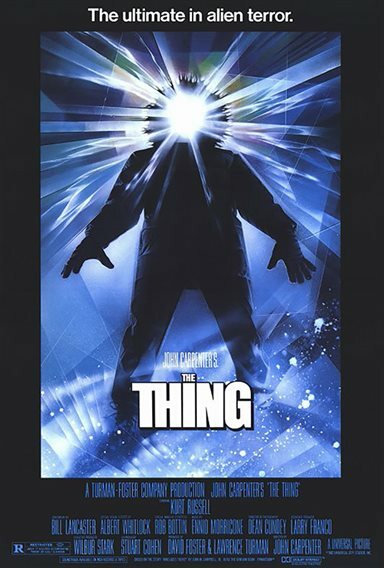 The Thing images are © Universal Pictures. All Rights Reserved.